Is your home on a septic tank or city sewer? When you buy your home it’s good to know whether you are linked to the city sewer or if you have a septic tank. If you have a septic tank you as the home owner are responsible for handling your waste water and maintaining your tank. Both systems are designed to handle wastewater from your toilet, sink, dishwasher and laundry machines. Similarly both systems filter bacteria and pathogens from water before it flows back out into the environment. Basically, the two systems both offer reliable drainage of wastewater from houses and buildings with minimal problems majority of the time. 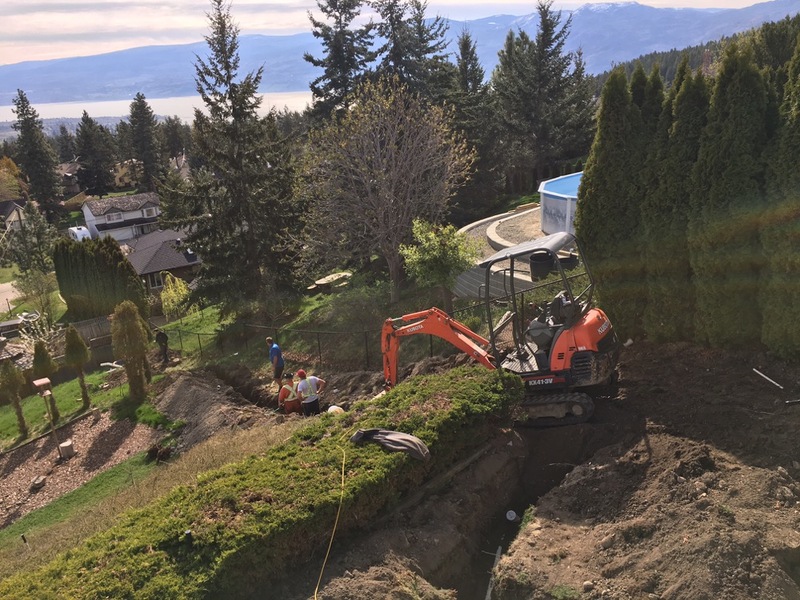 With both a septic tank and a sewer system you need professionals who know how to maintain them so that they don’t contaminate your backyard and then the environment. There are pros and cons to both a sewer and septic system. This article specifically focuses on the benefits of being on city sewer. One less thing to service in your home. The local government handles the wastewater treatment on a shared sewer system. They have the the funds and expertise to ensure that the wastewater is treated properly and homeowners don’t need to worry about it. With septic tanks they need to be maintained and well kept in order to keep the value of your property in tact. The homeowner needs to ensure the tank and pipes are in good working order. Handle rain and storm. Sewer system are designed to withstand periods of heavy rain and storm that could potentially overwhelm a smaller, failing or un-maintained septic tank. Freedom to plant trees anywhere in your backyard. With septic tanks; heavily rooted plants on or near the area of the soil where the tank is situated will damage the drain pipes in the long run. When plant make sure to plant far enough away from your septic tank. If you have existing plants with deep roots or potential for them to have deep roots you may want to consider having these plants or trees removed. There can be issues with plants interfering with sewer lines as well and if they are common city property the city will help with this expenditure. Take a look at this article on how tree root intrusions impact your drainage. Fast flowing drains. With sewers there generally isn’t a problem with slow drains. However, with septic tanks sewage backup happens. This means there is a clog somewhere in the tank or drain pipes. When this happens it’s generally a more serious problem that can’t be fixed with Draino. You’ll need a plumber to inspect your tank. No need to fuss with your water fixtures. If you toilet, shower or washing machine requires more water to do their job until they’re replaced with a newer version that’s okay. If you need to do various large loads of laundry in one day, go ahead. The sewer pipes can handle the pressure of the water and the excess water flow, septic tanks can’t. Your septic tank may be burden with this excess amount of water. If you’re on a septic tank and need maintenance of your system contact A1 Choice Plumbing and Drain. We can help you with your drain cleaning, maintenance or any plumbing repair. After reading this article you’re convinced to switch to a sewer system do your research to find out about your required permits for your city and make sure you hire an experienced contractor and plumber. Also, read this article on what’s involved in converting from septic to sewer and any associated costs.